Xavier Franch is associate professor in the Service and Information System Engineering department (ESSI) at the Universitat Politècnica de Catalunya (UPC). He is the scientific leader of the Software Engineering for Information Systems Research Group (GESSI) at the UPC. His research lines are requirements engineering, software architecture and service-oriented computing. He has published more than 100 research papers in international peer-reviewed journals, conferences and workshops. 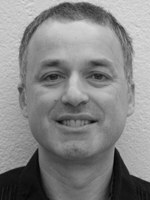 Xavier Franch has been involved in several events related to requirements engineering as PC member and holding some organizer positions. Remarkably, he has been General Chair of the 16th IEEE International Requirements Engineering Conference (RE'08) and Program Chair of the 17th International Working Conference on Requirements Engineering: Foundation for Software Quality (REFSQ'11). He is a supporting member of the IREB.